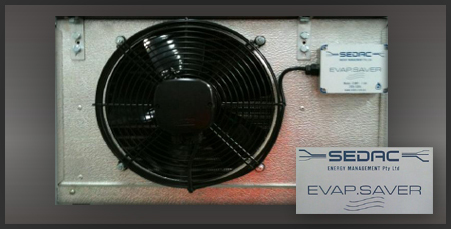 We have developed a Fan Speed Controller which reduces the fan speed of evaporators on demand. This controller turns the fan to 100% when cooling and when the room reaches its set point or defrost times it reduces the speed to 30% affectively saving 70% of the fan load. As the evaporator uses less heat and the room requires less cooling compressors run time is reduced which also prolongs the life of the compressor. 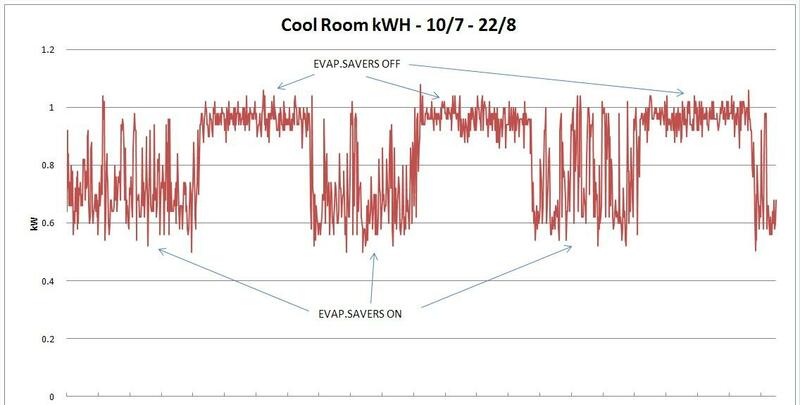 Click to see how the SEDAC EM Evap.Saver reduces energy use. When the room reaches its required temperature the air movement is reduced which decreases the dehydration of product and extends shelf life of the products. We also have different models which adapt to specific installations. Our products cover different fan loads along with 3 phase fans.